… Mei-Shun of Tunisia, the only African country she has been. 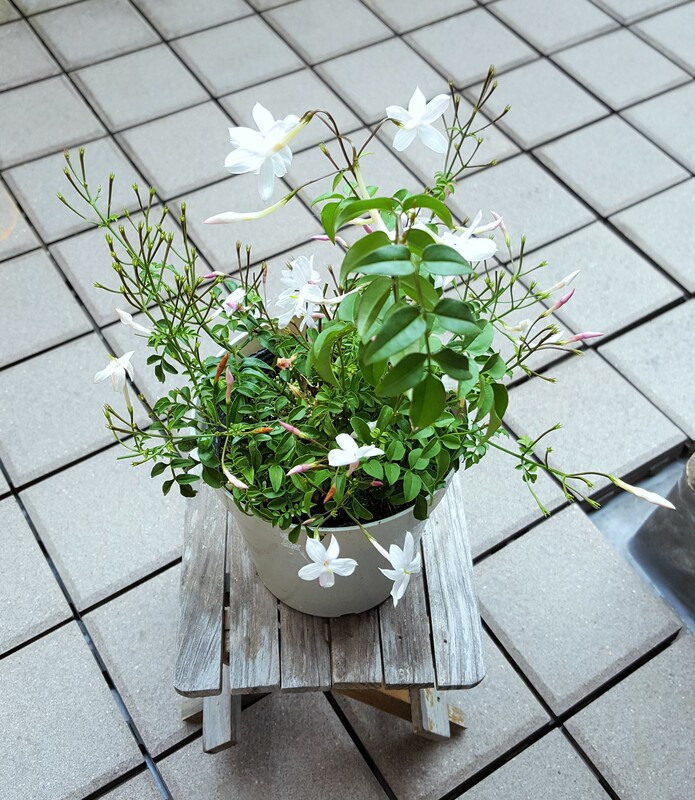 When she went to a flower shop to send a birthday arrangement for Professor S, the owner kindly gave her this tiny pot for free. According to her advice, it survives well on the ground after blossom. It would join white beauty of 姫空木, lily bell and 雪柳 or snowy willow recently planted in our garden by mom-in-law.